Arab League will seek international recognition of a Palestinian state with eastern Jerusalem as its capital, Jordan announces. Jordan announced on Saturday that the Arab League would seek international recognition of a Palestinian state with eastern Jerusalem as its capital, AFP reported. 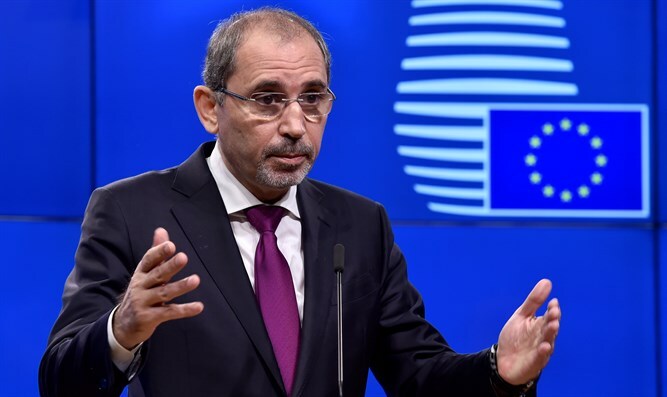 Jordan’s Foreign Minister Ayman Safadi made the announcement at a joint news conference with Arab League chief Ahmed Abul Gheit after talks in Amman on the status of Jerusalem. "There is a political decision to recognize Jerusalem as the capital of Israel and we will strive to reach an international political decision to recognize a Palestinian state... with (eastern) Jerusalem as its capital," Safadi declared. U.S. President Donald Trump announced on December 6 that the U.S. recognized Jerusalem as Israel's capital and would move its embassy there from Tel Aviv. The move was met with anger in the Arab world. A week after Trump’s announcement, Turkish President Recep Tayyip Erdogan chaired an emergency meeting of the Organization of Islamic Cooperation (OIC) in which he called on OIC states to, in a counter move, recognize "East Jerusalem" as the capital of a future Palestinian state. Erdogan, perhaps the most vocal critic of Trump’s move, also vowed that his country would open an embassy in eastern Jerusalem, the capital of “Palestine”. Malaysia’s Deputy Prime Minister later announced that his country plans to follow in Turkey’s footsteps and open an embassy in eastern Jerusalem to recognize the city as the capital of “Palestine”. And, in Iran, the country’s parliament approved a bill which requires the government to support Jerusalem the capital of “Palestine”. Safadi said in his remarks Saturday that Arabs have three main goals, including invalidating Trump's decision. "According to international law, Jerusalem is an occupied land," he said, according to AFP.